So much for staying out of the limelight. Zayn Malik quit One Direction on Wednesday, around a week after he was signed off their On the Road Again Tour with stress, saying he just wanted to be a 'normal' 22-year-old. But in his first interview since his shock announcement, the singer revealed that he’s started recording alone even before he left the band, according to People. Yesterday the star was seen entering a recording studio. He's working on music with producer Naughty Boy - who's previously teamed with Jennifer Hudson and Sam Smith - and trying to come up with a new sound, with the newspaper suggesting he's even giving rapping a go. Although he is recording, Zayn is in no rush to put music out there. 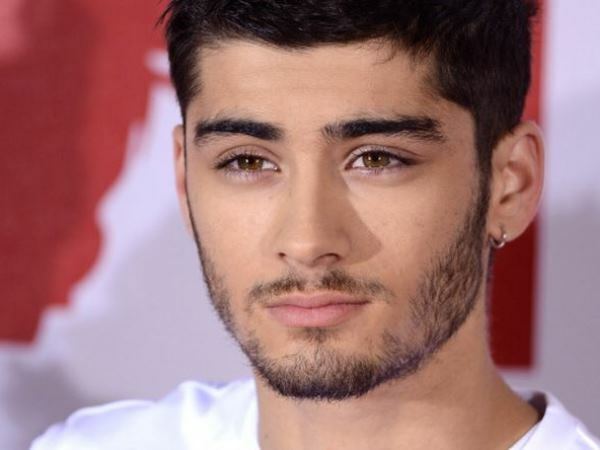 His decision shocked the group's legion of fans, with Zayn now explaining why he couldn't go on. "You know, I did try to do something that I wasn’t happy doing for a while, for the sake of maybe other people’s happiness. And that was mainly the fans. And I only ever tried to do it for the fans, and it was only ever for them," he told British newspaper The Sun. “And basically, I’m only upset [because] I feel like I may have let them down in some sort of way. “That’s the main thing that I don’t want to happen. The star called the last few days "crazy and wild and a bit mad", but says it also feels good to finally be in full control of his life. Several times he talked about his fear of letting down his fans, but admitted that this week he realised he simply couldn't go on as one fifth of the band. Although his fellow singers Harry Styles, Niall Horan, Louis Tomlinson and Liam Payne have issued a statement of support and all tweeted similar missives, many have suggested there was a rift between them and Zayn. The boys are set to start work on a new record later this year and Zayn has echoed that they won't be splitting now he has left. He's adamant his former bandmates are all in it for the long haul and love being part of the world's biggest boy group. “That’s why it’s been really good for me, because I feel it’s been a bit different to when other bands have broken up or when a member’s left or whatever," he added. The star also touched on his fiancée Perrie Edwards, who some One Direction fans have blamed for his leaving. She has been slammed as the Yoko Ono of the group - in reference to John Lennon's wife and The Beatles. Zayn was signed off with stress after a picture of him with a female fan in Thailand caused some to accuse him of being unfaithful. In his statement on Wednesday, he said he needed some time away from the spotlight to be a normal 22-year-old. He's now explained that his fiancée completely backs his decision and has been wholly supportive. "I’m just going to chill man, I’m just going to be me for a while," he said. If you call yourself a true fan of the biggest boyband on the planet, you have got to get your hands on YOU’s One Direction magazine! Click here for more info.